Blue Ridge Conservancy partners with landowners and local communities to permanently protect natural resources with agricultural, cultural, recreational, ecological and scenic value in northwest North Carolina. Part of our mission is to expand public access and recreational opportunities. Find new places to visit and directions on how to get there! You’re invited to join Blue Ridge Conservancy for group hikes across our northwestern North Carolina region. With your membership includes a copy of our newsletter, invitations to special events, and opportunities to hike on our conserved lands. Plus, the satisfaction of saving the places you love. Your contribution is tax-deductible. BRC was built on the energy and efforts of volunteers. Learn more about how you can get involved! We cherish our corporate friends and your support shows your patrons that you value and give back to the local community. Catch up on the latest projects and events happening with BRC! 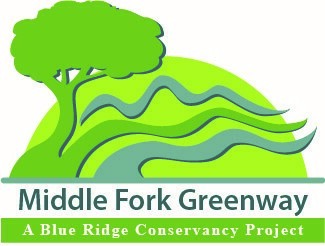 Walk, jog, or bike on the Middle Fork Greenway. Blue Ridge Conservancy is building a greenway that will connect Blowing Rock to Boone, naturally.